The Most Rev. Foley Thomas Beach, Archbishop of the Anglican Church in North America and Bishop of the Diocese of the South. Born in Atlanta, Georgia on 31 Oct 1958, Archbishop Beach was reared in Atlanta and educated at George State University, receiving a Bachelor of Arts degree in 1980. He trained for the ministry at the University of the South and received a Master of Divinity degree in 1992. He was ordained deacon and priest in the Episcopal Diocese of Georgia in 1992. From 1980 to 1987 he served as youth minister at the Cathedral of St Philip in Atlanta and from 1987 to 1989 was a lay associate at the Church of the Apostles in Atlanta. Following seminary he was appointed deacon in charge then rector of St Alban’s Episcopal Church in Monroe, Georgia from 1992 to 2004. In 2004 he withdrew from the Episcopal Church and joined the forerunner of what would become the Anglican Church in North America, serving as rector of Holy Cross Anglican Church in Loganville, Georgia. 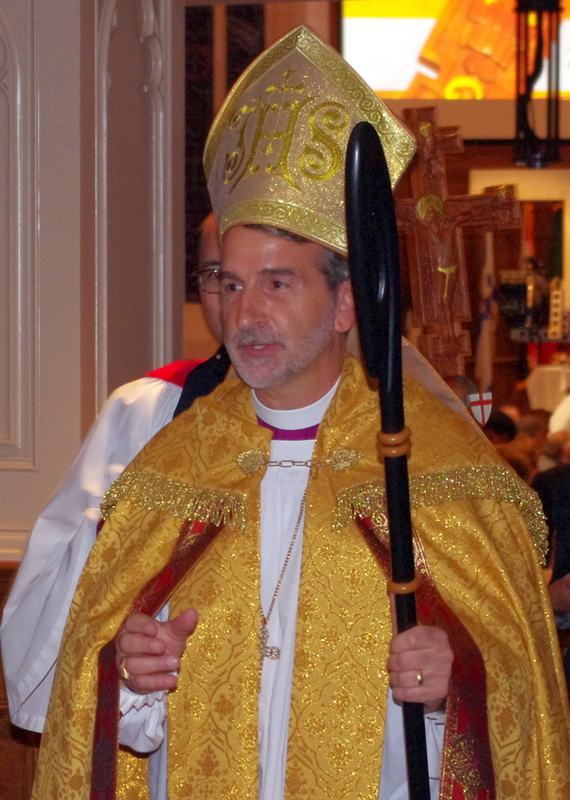 On 9 Oct 2010 he was consecrated the first bishop of the ACNA’s diocese of the South. He was elected the second archbishop and primate of the ACNA on 21 June 2014 and installed on 9 October 2014. He is a member of the GAFCON primates council and the Global South primates group and is recognized as a primate of the Anglican Communion by some, but not by all of its member churches. He is married to Alison Beach and they have two children.